Short tandem repeats (STRs) of the combined DNA index system (CODIS) are probably the most employed markers for human identification purposes. STR databases generated to interpret DNA profiles are also helpful for anthropological purposes. In this work, we report admixture, population structure, and genetic relationships of Mexican Mestizos with respect to Latin American and Caribbean populations based on 13 CODIS-STRs. 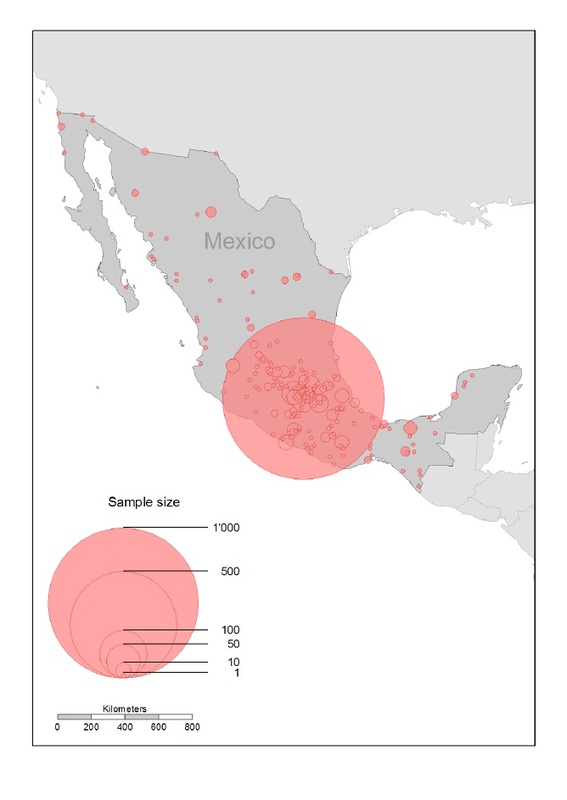 In addition, new STR population data were included from Tijuana, Baja California (Northwest, Mexico), which represents an interesting case of elevated genetic flow as a bordering city with the USA. Inter-population analyses included CODIS-STR data from 11 Mexican Mestizo, 12 Latin American and four Caribbean populations, in addition to European, Amerindian, and African genetic pools as ancestral references. 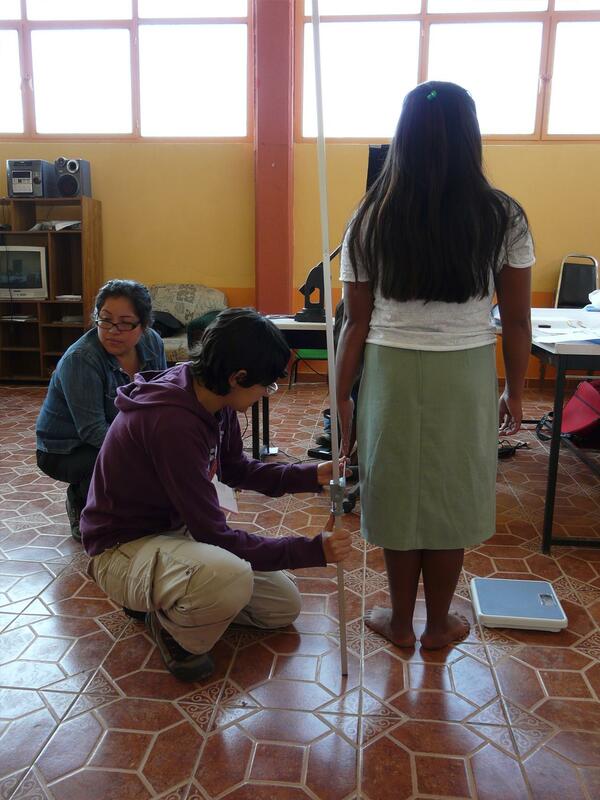 We report allele frequencies and statistical parameters of forensic interest (PD, PE, Het, PIC, typical PI), for 15 STRs in Tijuana, Baja California. This Mexican border city was peculiar by the increase of African ancestry, and by presenting three STRs in Hardy–Weinberg disequilibrium, probably explained by recurrent gene flow. The Amerindian ancestry in Central and Southeast of Mexico was the greatest in Latin America (50.9–68.6%), only comparable with the North of Central America and Ecuador (48.8–56.4%), whereas the European ancestry was prevalent in South America (66.7–75%). The African ancestry in Mexico was the smallest (2.2–6.3%) in Latin America (≥2.6%), particularly regarding Brazil (21%), Honduras (62%), and the Caribbean (43.2–65.2%). CODIS-STRs allowed detecting significant population structure in Latin America based on greater presence of European, Amerindian, and African ancestries in Central/South America, Mexican Mestizos, and the Caribbean, respectively. In Mexico, CODIS-STRs allowed inferring a significant genetic structure similar to that described in the previous study of Rubi-Castellanos et al. (2009a). The clearest picture of this structure was obtained from pairwise comparisons and genetic distances graphically represented (Fig. 2A), which allow suggesting two principal population clusters: Northwest (Tijuana, Chihuahua, Nuevo Leon, Jalisco, Nayarit and Guanajuato) and Center-Southeast (Mexico City, Puebla, Veracruz, Chiapas and Yucatan). However, SAMOVA test pointed out important differentiation of some populations, such as Puebla (Center), Chiapas and Yucatan (Southeast), which could be explained by the higher Amerindian ancestry that characterizes this region. In fact, this finding agrees with the previous proposal stating that the present-day ancestry of Mexican populations approximates the Pre-Hispanic Mesoamerican demography (Rubi-Castellanos et al., 2009a). Conversely, the differentiation observed in Tijuana could be attributable to the increment of allele diversity, result of the increased gene flow. Interestingly, Tijuana displayed the greatest African ancestry, which is probably related to the increasing number of immigrants from Central America passing each year to the USA (Brick et al., 2011). Supporting this interpretation, our results indicate that some Central American populations show greater African ancestry than that observed in Mexico, such as those observed in Honduras, El Salvador, Nicaragua and Costa Rica (Fig. 3). However, Chi-squared test demonstrated that the African ancestry was homogeneous among all 10 Mexican Mestizo populations (Yates p-value = 0.9935); thus, we cannot justify a deeper discussion of this finding. The admixture component pattern obtained in Mexican Mestizo populations is similar to the previously described by genome-wide SNPs and CODIS-STRs (Rubi-Castellanos et al., 2009a and Silva-Zolezzi et al., 2009). However, the African ancestry obtained with CODIS-STRs was lesser than those previously reported. This is explained by software Leadmix employed before for that purpose (Wang, 2003), whereas in this study the program Structure was used (Falush et al., 2003). This program has been selected because results are similar to ancestry estimates based on genome-wide SNPs (Silva-Zolezzi et al., 2009), which are presumably more reliable. In Central America, population structure was greater than in Mexico, South America and the Caribbean (FST = 3.42% vs. 0.52, 0.72 and 0.22%). Interestingly, Mexico shows similarity between populations with elevated Amerindian ancestry (Guatemala, El Salvador and Honduras1), but this gradually decreases to the South (56.4–36.2%). In addition, Honduras2 (Black Garifuna), Costa Rica, and Caribbean populations were characterized by greater differentiation ( Fig. 2A), attributable to greater African component ( Fig. 3A). In Costa Rica, historical records describe the large scale arrival of western African workers to build the Atlantic railroad, which explains the increase in African ancestry in this country ( Putnam, 2000). 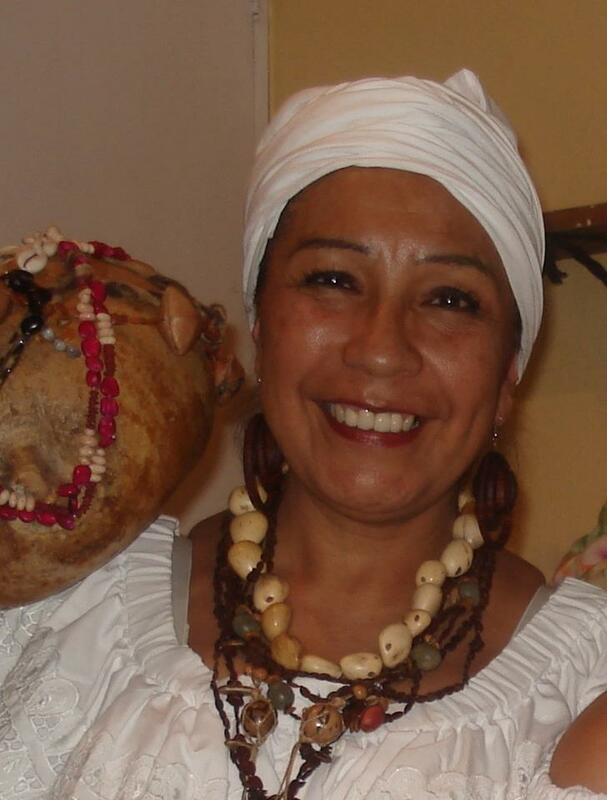 In Honduras, the Afro-descendant presence has been constant since the Spanish conquest to the present, in fact, historical records describe the presence of four Afro-descendant towns from the 16th to the 20th century ( Amaya, 2002): (i) Black slaves, brought to work in mining areas and states; (ii) Miskito ethnic groups, mixed with runaway slaves and maroons, which could have lead to inbreeding processes, and even promote differentiation between them; (iii) Black Garifuna (represented herein by Honduras (2), who arrived in the late 18th century and extended into the North of Belize, and the South of Nicaragua; and finally (iv) Black English or Creole, who arrived in the country to work in banana companies, not only in Honduras but also in Panama and Costa Rica. For the Caribbean, our results detect the elevated African genetic legacy received by the populations studied herein, and show a significant differentiation between some of them (Fig. 2, Table 2). The prevalence of African component is attributable to the trans-Atlantic slave trade that entered the Bahamas from West Africa (Duncan et al., 1996). These facts cause that Caribbean people share similarity (up to 83.6% of their gene pool) to countries such as Angola, Equatorial Guinea, Kenya, and Madagascar, specifically New Providence (Simms et al., 2008). Interestingly, two pulses of African migration to the Caribbean were described in a genomewide population study (Moreno-Estrada et al., 2013): the first pulse representing genetic component more similar to coastal West African regions involved in early stages of the trans-Atlantic slave trade; the second pulse more similar to present-day West Central African populations of a later transatlantic deportation. This peculiar admixture process seems to be critical to explain the differences between Caribbean populations, and the inland Latin American populations. In South America, pairwise comparisons and genetic distances showed larger population structure than in Mexican Mestizos (Fst = 0.72%, Fig. 2A and B). The unique population that showed similarities with another South American populations was Venezuela (Table supplementary 1), but this is explained by the limited sample size (n = 45). Interestingly, the European ancestry is prevalent in all South American populations (66.7–75%, Fig. 3A and B), excepting in Ecuador where the Amerindian ancestry predominates (56%), similar to some Mexican populations ( Fig. 3A and B), such as displayed in the NJ tree ( Fig. 2B). Probably this is a result of the greater Pre-Hispanic population present in both Mesoamerica and the Andean Region in South America, as previously described ( Wang et al., 2007 and Rubi-Castellanos et al., 2009b). That larger Pre-Hispanic population in America historically has been attributed to the presence of agricultural societies that formed chiefdoms and states, such as Olmec, Teotihuacan, Toltec, Maya, Aztec and Inca civilizations ( Fiedel, 1992). In most of the Latin American populations, standard deviations of Amerindian and European ancestries were two to three times larger than the African ancestry, except for Brazil, Honduras2 and Caribbean populations (Fig. 4). In Mexico, it is interesting that Tijuana had elevated dispersion levels for the three ancestries, particularly the African one, which could be the result of the high immigration rate aforementioned (Cornejo-Portugal and Fortuny-Loret de Mola, 2011 and Brick et al., 2011). Interestingly, the increased variability in African ancestry observed in the western Mexican populations of Nayarit and Jalisco (Fig. 4), is consistent with a recent study of paternal lineages in Mexico where Jalisco presented the largest African ancestry (8.8%) (Martínez-Cortés et al., 2012). It is interesting that the increase of African variability (standard deviation) diminished the variability of Amerindian ancestry, whereas European variability remained relatively constant throughout all the American populations studied herein (Fig. 4). This result illustrates the significant European genetic legacy in the current populations of Latin America and the Caribbean. Conversely, the increase of Amerindian ancestry throughout Latin America (Fig. 3 and Fig. 4) is closely related with the Pre-Hispanic population densities, as previously claimed (Wang et al., 2008; Rubi-Castellanos et al., 2009). Finally, the time and intensity of African slave trading (Moreno-Estrada et al., 2013) seems to be crucial to delineate the actual distribution of African ancestry in Latin American and Caribbean populations. I have just purchased that article. Last edited by curupira; 03-29-2015 at 01:28 AM. It is important to note that the focus of this study is the Mexican Mestizo population, and not analysis of the particular genetic admixture, relationships or structure in Latin American and Caribbean populations. In fact, this analysis is not possible because in most of the cases we included only one population from these countries; however, these issues have been addressed in previous studies (Corachet al., 2010; de Assis Poiares et al., 2010; Marino et al., 2006; Rojas et al., 2010; Wang et al., 2008). Their scores are within the ballpark of other results though. its pretty cool that they compare the latin american samples...also they have venezuela and paraguay tests i hadnt seen before..
by any chance, do you happen to have purchased the argentine study? I purchased only this study 2015 study. Sure it is. But at least when it comes to Brazil - even if the results are within the ballpark - they quoted a study which had taken a few samples only from São Paulo (Friedman et al 2008). The one on Colombia (Porras et al 2008) was based on the Central Western part of Colombia, not on all of Colombia. The one on Argentina (Marino et al 2006), based on the Central part of Argentina. Etc. Last edited by curupira; 03-29-2015 at 02:05 AM. In Brazil ~10% of samples were collected in smaller towns of the states of Rio Grande do Sul, Bahia and Rondonia.